The biggest piece of Star Wars news from this year’s D23 Expo was the reveal of the rest of the Rogue One cast as well as a first look at all of them in costume. Like the rest of the Star Wars blogosphere I was extremely excited by the news and immediately set to over-analyze every scrap of it. My first thought was “wow, what a multicultural cast!” Followed shortly after that was “…but why is Felicity Jones apparently the only woman?” It seems once again that Star Wars fans are being asked to choose between ethnic diversity and gender parity. The original trilogy movies are, frankly, lily white and heavily male. Leia is the only woman with a significant presence across the three movies and Lando’s the only significant nonwhite character. The prequel trilogy fares a little better, with the addition of strong secondary characters such as Mace Windu or Bail Organa (both male) and Shmi and various handmaidens (all white). 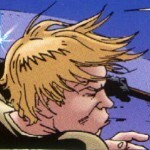 But the fact remains: a Star Wars character can apparently be either nonwhite or nonmale…but not both. Star Wars, like nearly every other blockbuster franchise, has a diversity problem. It is overwhelmingly white, male, straight, and (presumably) cis-gendered and there’s no shortage of thinkpieces discussing representation in a galaxy far far away. Tosche Station even took the time to list out every single woman with a speaking role in the movies, and while a similar list does not currently exist for people of color I am willing to bet it would be similarly short. But what’s even more depressing is combining those lists and looking at the representation of women of color. 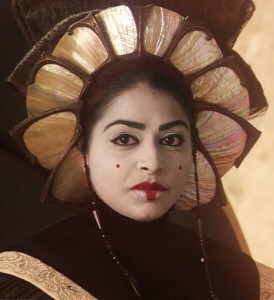 Ayesha Dharker, who played Queen Jamillia in Attack of the Clones, is the woman of color with the most screen time in the live action movies. Femi Taylor, who played Oola, clocks in at number two. Obviously this will probably change come December and Lupita Nyong’o’s Maz Kanata hits our screens (though this is somewhat undercut by Lupita appearing via motion capture and not as herself), but it’s still a staggeringly low number. The frustrating thing is that this lack of diversity is completely arbitrary because there is no contextual reason for it. There’s no reason that the cast of Rogue One couldn’t switch out some of the men with women and still maintain its current multiculturalism. There’s no reason Han Solo couldn’t have been black or Latino or East Asian or any number of nonwhite ethnicities. When you have a completely fictionalized universe then anything goes when it comes to representation. It’s not “adding diversity for the sake of diversity.” It’s removing homogeneity for the sake of realism. And of course, all this discussion is only focusing on the intersection of race and (binary) gender. If you widen the scope to include LGBT+, it’s still dismal. Lords of the Sith gives us Moff Mors, an Imperial officer still mourning the death of her wife. The Legacy of the Force series gives us Medrit Vasur and Goran Beviin, married male Mandalorians. Juhani is a lesbian romance option in Knights of the Old Republic and there’s a small handful of same-gender romances in the Star Wars: The Old Republic expansions. That’s it, unless you count fan theories, and technically only Moff Mors is canon. And here’s the thing: Lucasfilm can afford to take a chance on casting outside usual channels. Star Wars as a franchise is its own selling point. Even The Phantom Menace, which pop culture has deemed the worst of the Star Wars movies, flirted with $1 billion worldwide during its initial release, and smashed box office records left and right. Attack of the Clones, which is the lowest-grossing Star Wars movie when adjusted for inflation, was still a huge financial success and is one of the top 100 grossing movies of all time. Lucasfilm could cast wooden planks with painted-on smiley faces and they’d probably still reap in a huge box office profit. What Lucasfilm and Disney should be doing is using the safety of the Star Wars franchise to cast women of all ethnicities as well as men of often underrepresented ethnicities. And thankfully, the franchise is making steps in that direction. Based on marketing, Rey, Finn, and Poe are shaping up to be the main trio of the sequel trilogy, which would mean that for the first time ever the main heroes of a Star Wars movie do not include a white male. The Rebels TV show gives us a crew that is entirely nonwhite (and includes more than one main female character to boot). Rae Sloane is quickly becoming a fan favorite in the books and hopefully will continue to make appearances in future material. And, as mentioned at the beginning of this article, the star of Rogue One is a woman and the rest of the cast makes this probably the most multicultural Star Wars cast we’ve seen. These characters shouldn’t be discounted, not by a long shot. A step forward is still a step forward, even if it seems to be moving at a snail’s pace. But it’s important that as fans we continue to push Star Wars to do better because it’s the only way to change the status quo. That is what it’s about. Simple (or so you’d think) yet brilliant and elegant. Great job Sarah, this has probably become one of my favorite articles on this site. I love this article. It says everything I want to say with such eloquence and grace, with 10x less anger than I could manage. Thank you so much for writing this. I wish I could start a campaign promoting WoC in Star Wars, but I’m not sure how to begin such a process. Quite! They’re a multi-billion company, not some fragile minnow. I tend to identify with characters based on their mind states and attitudes. Why is it so important what people look like? Hollywood does whatever it can to make money. 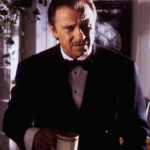 Any miss match from the demographics is a problem with the paying audience. I wonder if people in China complain that their country’s movies have too many Asians, or if Bollywood had too many Indians. Unlike Bollywood or Hong Kong cinema, Star Wars has a global audience—so whether it should reflect US demographics at all is very debatable, as is whether that’s actually important to the US “paying audience”. But even if everyone agreed on that, the US is far more racially diverse than India or China. And even if SW matched US racial demographics, shouldn’t half the characters still be women? Because it’s not even close. That’s what people mean when they talk about intersectionality—the fact that there are numerous overlapping metrics by which to judge representation; being satisfied with one metric doesn’t mean the others stop being important. All good points. While I largely agree, I think people can sometimes be too knee-jerky. I had a friend that said she wouldn’t watch the force awakens because it has more men than women in it. She didn’t realize that it would have at least, Rey, Leia, Maz and Phasma. How important the characters are matters too. Maybe my perspective is a little different being bi-racial. 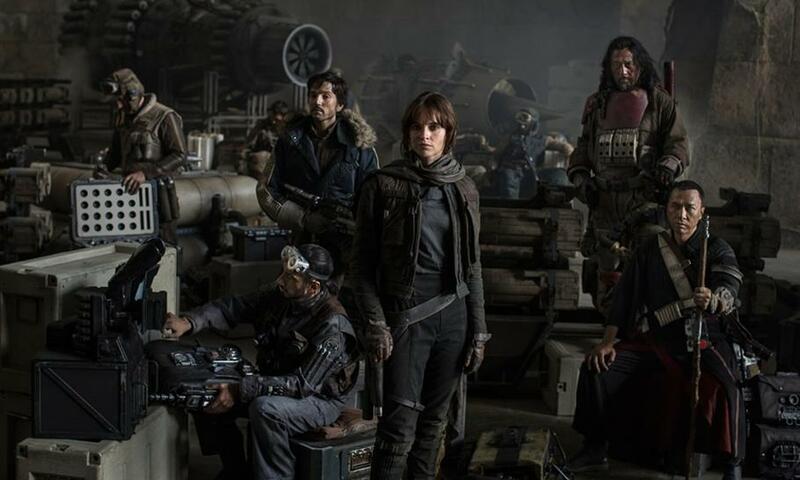 When I see the rogue one photo I only thought, “that’s a lot of talent”, not “yay, there is an Asian man, latino man, black man, white woman, boo where are the latino women, black women, indian man etc. If you count all the bi-racial combinations, you’d never hope to see them all in one film. Rather we should strive to have better representation in the industry as a whole. Saying someone’s reactions are “knee-jerky” implies that you think the reactions were made without thought, that they are involuntary. I don’t imagine your friend is really like that, just an automaton. Someone who is finally so fed up with lack of representation as to skip seeing a popular movie has probably given the matter a great deal of painstaking thought and analysis. Perhaps your friend has decided that it is an ethical matter not to support movies with inadequate gender balance, or she is really hurting because achieving better diversity seems hopeless (in which case she might like some support from a friend), or she anticipates being so annoyed and distracted by the lack of gender parity that she couldn’t enjoy it, or she has found other entertainments with better diversity that are more satisfying. Hers is a legitimate choice, and probably a difficult one, if she is a SW fan. Don’t dismiss it out as unthinking just because it doesn’t affect you the same way. I did find her reactions to be without full and proper thought. She made her decision without looking up the cast list. She just assumed it didn’t have any females in it. I would never say that she is an automaton; I love my friend. If I boycotted TFA for not having any black males in it, would you not find my reasons to be knee-jerky? I find opinions to be invalid if contingent upon counter-factual. I couldn’t be more happy for Rey to be the lead in the film, and I find Christie to be very talented (I have to sort of proxy like Lupita, because I suspect she is talented but haven’t seen her in anything.) I hope I didn’t give the impression otherwise. TLDR: If you are pissed about lack of gender balance in SW, hold your horses, it seems like it might be pretty good from now on. If you boycotted TFA for not having black males you would be blatantly incorrect, because the star is a black male. If your friend boycotted it for having more men than women, that might be a more radical decision than most would make (especially if she really made it with no information at all), but as far as we’ve seen it’s an accurate guess. It’s also worth mentioning that this article was largely prompted by Rogue One, which currently has one woman in its nine announced cast members. Will that ratio get better? Almost certainly. Will it end up equal? I seriously doubt it. It’s all a tempest in a teapot. Would the story be made better by the token inclusion of every possible mix of race and gender? This is plain old entertainment, and if the person who writes a story wants to have a cast of all caucasian males (or for that matter, a cast entirely of latino women or cambodian transexuals), how are we to tell them they are not? I want my movies to come from creators who are telling the stories they want to tell, and let’s face it, saying “Star Wars needs representation of different races sexualities” is asking for tokenism, not change. Certainly, Hollywood is dominated by white males, but that’s not going to change just because a black or female or gay actor is shoehorned into the plot. So instead of complaining that there’s not enough diversity in Star Wars, instead try to support movies that have those things in them? Mad Max was a massive hit (although actually the ratio in that movie was about 100 white males to every female character; we just had several really memorable female characters in it) and there’s no doubt that the feminist overtones to it are going to impact movies to come. And that’s because first and foremost it was a great movie, and would likely have been just as good had Furiosa been played by a male actor. I don’t understand why everyone has to feel represented in every movie? When my own daughter was 10, she got really excited when she found out there were women who fought in the American Revolution, and she got to play Deborah Sampson at school. She told me she was so excited to see a woman who could fight rather than just let men do everything. My friend, who is gay, gets cheerful every time he sees a gay good guy character. Every movie doesn’t have to represent everyone directly, of course. But people who aren’t straight white men do notice when every single character, in movie after movie, is a straight white man. Just because you don’t feel unrepresented, that doesn’t mean that everyone feels just like you do. Bless you for policing these comments for me.